Mary Ella Betteridge Tanner was born on May 16, 1905 at San JaCento, Nevada, a daughter of William C. and Mary Elizabeth Hadfield Betteridge. She was born in a two-room log house. Her Grandmother, Mary Shaw Hadfield, a nurse and midwife, attended the birth. Ella was the second child born to William and Mary Betteridge. Ella was raised in Grouse Creek, Utah. Her father was a rancher and merchant. She began school at the Grouse Creek School at the age of five. School was held in a new building that had just recently been constructed. Kindergarten through the third grade students were all in one room. 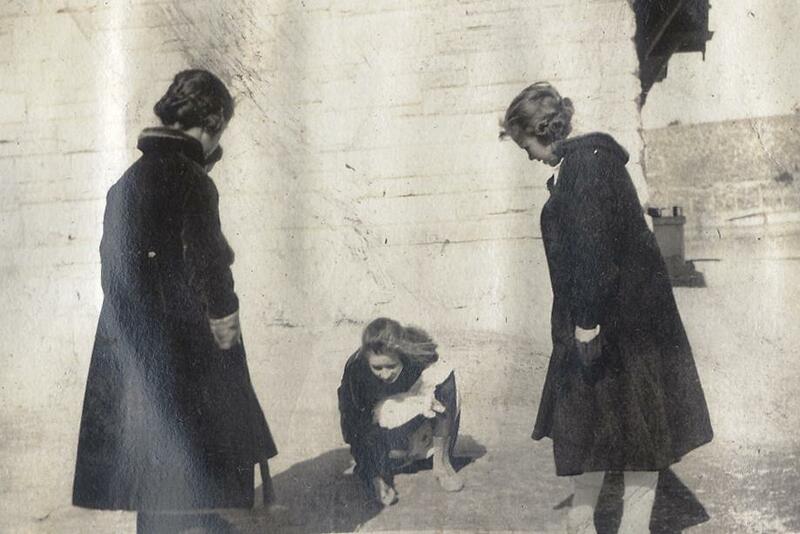 Ella enjoyed participating in school activities such as operettas and school plays. She completed school through the tenth grade, since this was all that was offered at the Grouse Creek School. She did not complete high school. She took a religion class that was held each Friday afternoon after school. A local member of the church would come to the school and teach the class. Before Ella was married, she was employed doing housework. She worked at the Jorgensen Hotel for several years, receiving $1.00 a day while working there. Sometimes Ella went with her Grandmother Mary Hadfield, a midwife, to help deliver a baby. Ella would do the housework and the cooking for the family. 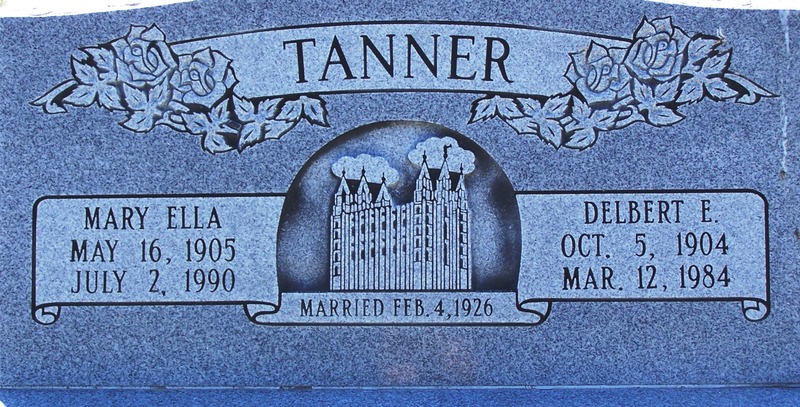 Ella married Delbert E. Tanner on February 4, 1926, in the Salt Lake Temple. They had six children, five boys, Merlin, Keith, Gordon, William and Douglas and one girl, Carole. During their married life Del has been a rancher. They lived in several houses, but lived in Grouse Creek or the surrounding area all their lives. When Del and Ella were first married, they lived in a newly furnished home. The furniture consisted of a Monarch stove, a round table with six chairs, a chest of drawers with a mirror, a brass bed, a sofa, and a soft chair. Del and Ella bought and remodeled their final home. When they bought the home the yards were mostly sagebrush, so they tilled the soil and planted lawns and grew a large garden for many years, supplying all the vegetables the family needed with some to spare. Del and Ella had a very humble life to begin with, many times short of money to carry on as they would have liked to have done. During their life the house was made modern, with electric heat instead of wood or fuel oil as they once had. They also had modern appliances, for which they were very grateful. Ella said she has led a very happy life and feels that she has been extremely blessed. She was an active member of the LDS church, serving as Relief Society president for eighteen years. She also served as Primary president and MIA president. Del and Ella were a fun-loving couple who enjoyed many dances, parties and get-togethers with friends and family. She was a very good homemaker. She always had a neat, clean and inviting home which she shared with many friends and relatives. 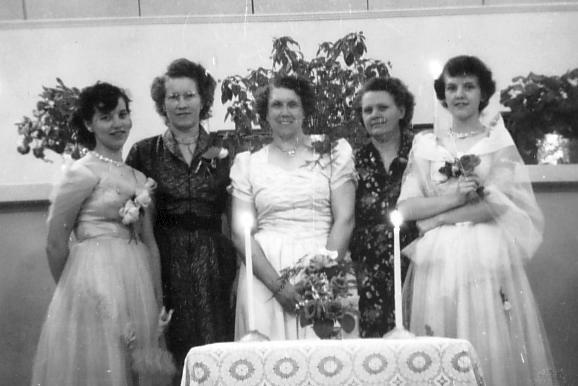 Her home was the gathering place for all her sisters’ families during the years when they came to Grouse Creek for celebrations or just to visit. Ella died on July 1, 1990 at her home in Grouse Creek at the age of eighty-five. The funeral services were in the Grouse Creek Ward chapel and interment was in the Grouse Creek cemetery.